'History and culture' aims to provide you with interesting and easily accessible materials which relate to the history of the Esperanto movement and to the culture surrounding it. If you have suggestions for additions, then please let us know. Concise Encyclopaedia of the Original Literature of Esperanto - If you have any lingering doubts about the scope, variety and value of Esperanto literature, then consult this excellent reference work by Geoffrey Sutton. 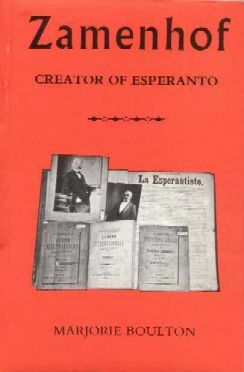 Compiled with dedication over several years, it is a detailed and factual work covering the development of Esperanto Literature, its authors and their works. 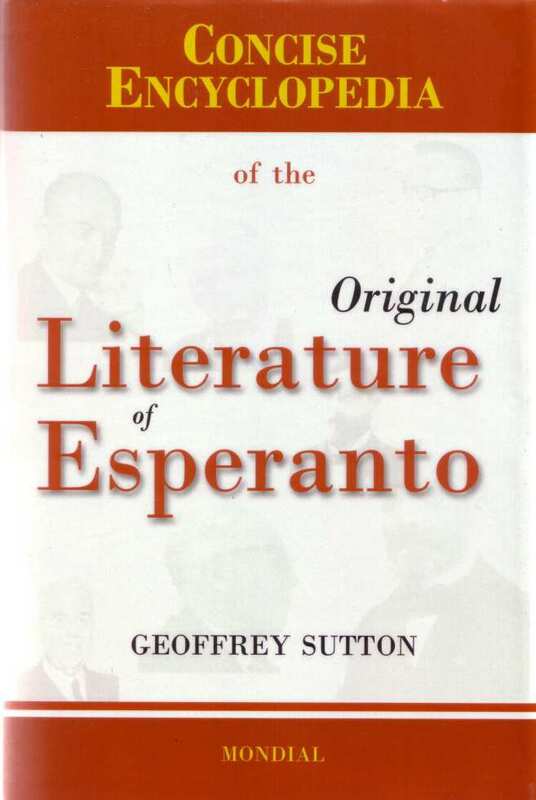 Concise Encyclopaedia of the Original Literature of Esperanto 1887-2007 by Geoffrey Sutton. New York: Mondial, 2008. x + 728 pp. Format: 6" x 9" (152 x 229 mm). ISBN 978-1-59569-090-6. Read about the content here. No home Esperanto library should be without a copy and the work is a must for all local town libraries, University and College libraries. 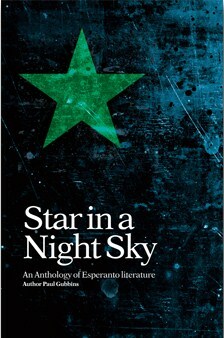 Star in a Night Sky - an anthology of Esperanto literature - An outstanding collection of original Esperanto literature with high-quality English translations. 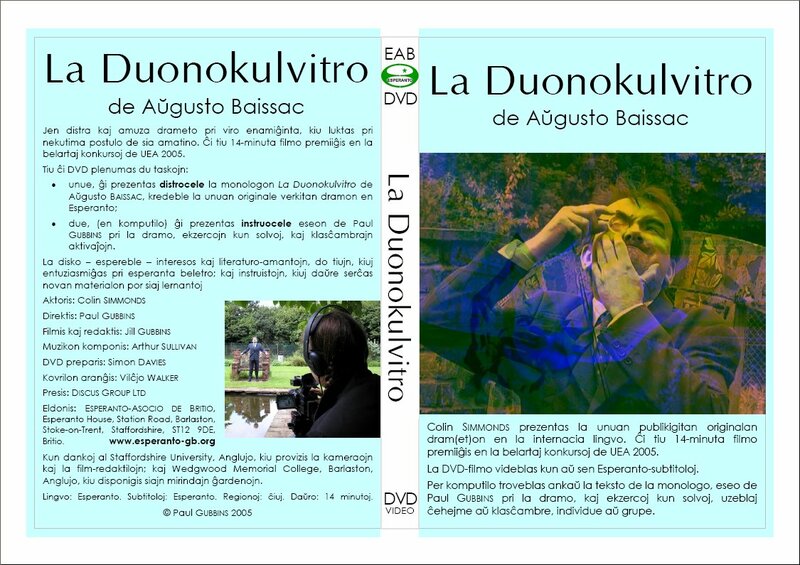 La Duonokulvitro - a DVD, suitable for computer or television, including a 14-minute film of the 'Duonokulvitro', with optional subtitles, the text, consolidation exercises and an essay by Paul Gubbins. 'La Duonokulvitro' is an amusing monologue; the first known piece written for the theatre in Esperanto, originally published in 1905. Written by Aŭgusto Baissac, it is performed here by Colin Simmonds in the grounds of Wedgwood Memorial College. The film won a prize at the Belartaj Konkursoj de UEA in 2005. 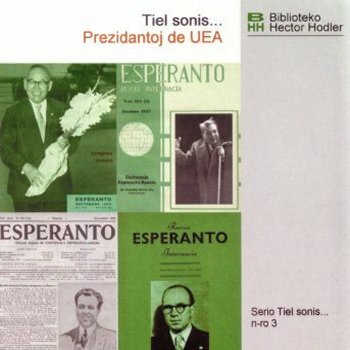 The Tiel Sonis... series, produced by UEA, are CDs of authentic recordings drawn from the archives of the Biblioteko Hector Hodler. 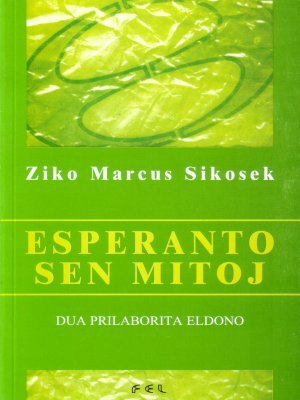 Put together and edited by Ziko Marcus Sikosek, the CDs give a valuable insight into Esperanto 'life' as it was. The extracts are reproduced here with the permission of UEA and the Biblioteko Hector Hodler. 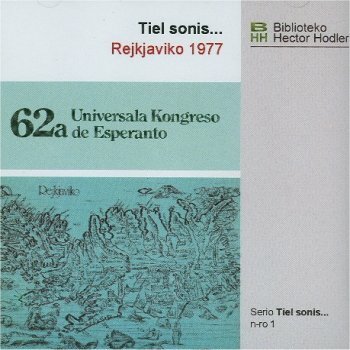 CD 1 - Tiel sonis... Rejkjaviko 1977 Recordings from the 62a UK, with the voices of H. Tonkin, R. Harry, B. Ragnarsson, A. M'Bow. 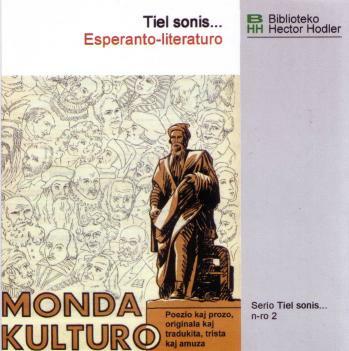 CD 2 - Tiel sonis... Esperanto-literaturo sports 16 readings from Esperanto Literature, a mixture of the serious and the humourous, poetry and prose. Julio Baghy, Nikolaj Rytjkov, William Auld, Duncan Charters, Kalman Kalocsay - to name but a few. Click here to listen to an extract from William Auld's poem, Incitnudiĝo. Click here to listen to an extract from William Shakespeare's Parolado de Brutus. CD 3 - Tiel sonis... Prezidantoj de UEA has recordings of eight presidental speeches ranging from Edmond Privat in 1927 through to John Wells in 1995. ...and click here to listen to an extract from Lapenna's speech in 1964. 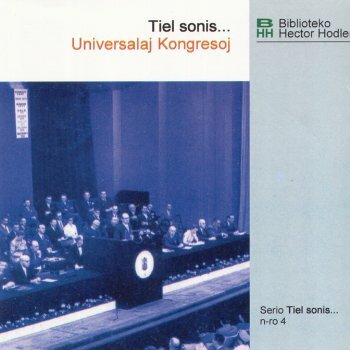 CD 4 - Tiel sonis... Universalaj Kongresoj contains recordings made between the years 1955 and 1996 at Universal Esperanto Congresses which took place throughout seven countries. Click here to listen to an extract from an address given by L. Zaleski-Zamenhof to the 1958 Universal Congress. Click here to listen to Mark Fettes talking on the theme of Ideology & Esperanto at the 1996 Universal Congress. 2003 (second edition) A well-researched and objective history of the language. 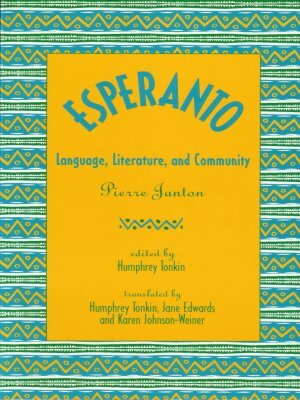 Available in both English (1993) and in Esperanto (1988), The book is a very good introduction to Esperanto including a history of the language, a comprehensive linguistic description of Esperanto and the role of Esperanto in the modern world. A lively story in English about a group of children who discover Esperanto. They learn about its history and culture and its uses, especially as a secret language. 1980 (reprint) This is a very readable biography of the creator of Esperanto and an introduction to the early history of the language. 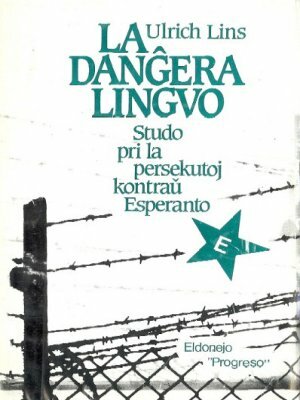 Totalitarian regimes across the world have perceived Esperanto as a threat, and have tried to suppress it. This detailed study explores the history of the language and its speakers in the face of censorship, oppression, persecution and even execution. This is the regular Esperanto-language journal of the Esperanto-Association of Britain, and contains general-interest articles and stories in rigorously-checked Esperanto. You can read articles from its online archive of back issues. The UEA Library in Rotterdam, the Hector Hodler Library, contains a wealth of material; not only books, periodicals, magazines etc but also photos, postcards and a range of other pictoral materials. These pages present a few of these 'lesser known' but very interesting archives from 1908 onwards.